This is the updated version of the R9M / R9 combo with new antennas and XT30 power input conncetor. The R9/R9M setup is a true long range solution and the first offered by FrSky in the 868MHz frequency range. The package includes the R9 16 Channel ACCT Long Range Receiver, with the R9M Transmitter Module that offers switchable power output and ultimately, the long range, low latency and reliability that you have been looking for! 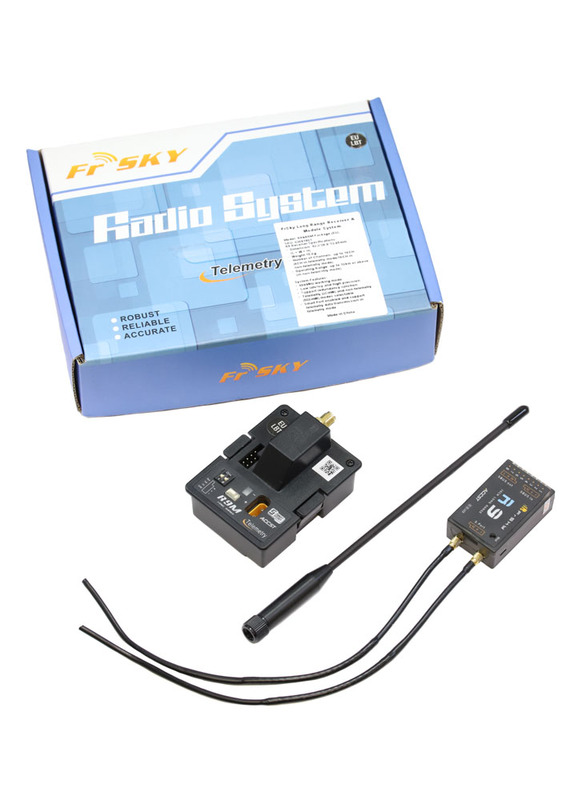 Compared to FrSky 2.4GHz long range receivers like the L9R, the R9 system has a much greater operating range, up to 10KM and above. Moreover, the R9 is also a redundancy receiver which can connect to another receiver to ensure the security of your aircraft.